Back on Air this Sunday! where we belong… ! Om 5 uur – Michiel van der Brugge presenteert DoucheCo. Deze week platen van weleer uit de “Haagse Flitsende 50′ van 27 juni 1987. 20:00 CET – A belated birthday bash of Gwen this evening, just because we can. So Gwens request was… what would you think is a nice track to give to her as a sort of present. Do you all know her well enough? Tell us! Click on ‘Song request’ button now. Also this evening the radio exclusive from Flashback records; Verona-Life will never be the same Great track! and new stuff by Eurotix from Sweden and guest dj Jos with his vinyl. Gwen says; THANKS for all the wonderfull music gifts, so many suggestions came in that make again a super playlist. So download it now and see the comments for tonights playlist. Gwen 24-06-2018 . Categories: +mix, Charts, DJ Mix, Download, Haagse Flitsende 50, Live Show, Nieuws, Stad Disco Zondag, Sunday Live Show, vinyl. 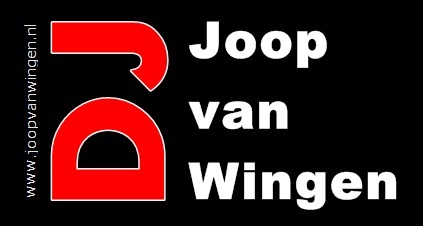 Tags: Charts, Disco-Mix, DoucheCo, Eurobeat, Eurotix, Haagse Flitsende 50, Haagse Radio piraten, High Energy, I venti Records, Italo Disco, Italo Internet Radio, Iventi Records, Johan van der Velde, Jos de Feijter, Live internet radio, Live Request Show, Radio Stad Den Haag, Spacesynth, Stad Sundaynight Live, Studiocam, Vinyl. Manuel Rios from Mexico mixes every month the best New Gen Italo&High NRG for you. Here is March! Gwen 10-03-2017 . Categories: +mix, DJ Mix, Freaky Friday, Nieuws. Tags: 80's disco mix, Back2Basics Italo, Deephouse, DJ Manuel Rios, High Energy, Italo Disco, Italo Internet Radio, Johan van der Velde, Johan Wiegman, Mark van Dale Turbulentie, Mellow House, New Gen. Italo, Radio Stad Den Haag, Radio Stad in the Mix, Spacesynth, Tony Renzo. Every friday evening your weekendstarter for 3 hours! 8 till 11pm CET the best sounds and deejays. He is now nearly our residential mixer on friday night; Tony Renzo, every week a fresh Italo mix in his Back2Basics Series! Followed by a real classic mix…made in the 80s for Radio Stad and with the old techniques! Gwen 26-08-2016 . Categories: +mix, Freaky Friday, Nieuws. Tags: Disco-Mix, Eurobeat, High Energy, Italo Disco, Johan van der Velde, Radio Stad Den Haag, Radio Stad in the Mix, Retro mix, Tony Renzo.